Twice the letter “A”. “A” is the beginning of the alphabet and symbolizes the first step out of the non-verbal thinking in the social-oriented logical world of communication with language. AX APE is located at the beginning of the alphabet, or even shortly before. The verbal, logical communication is hidden, lead by the intuitive part in us. 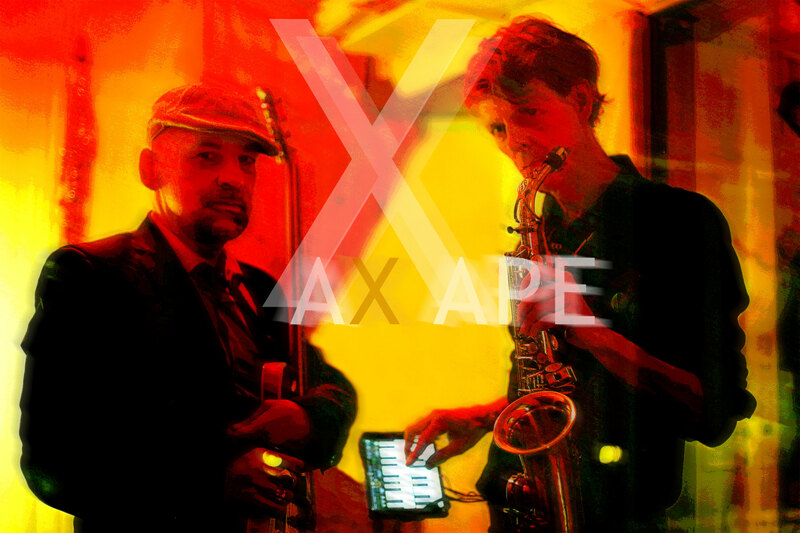 The visual and acoustic compositions of AX APE are created out of the moment, out of our emotions. X is the symbol for interchangeability and obscurity. APE stands for the elemental force, which is is also a symbol for the strength to move between different (dream) worlds. We create an experimental, intense, wild, calm and unique sounduniverse, mainly with saxophon, electric guitar and iPad. Our musical concepts can be adapted to suit all kinds of art events such as gallery art events, book launches, museum or theatre and movie performances. Our next gig will be on July 20th at the UdK Berlin. Like to see us? Here are some more informations.